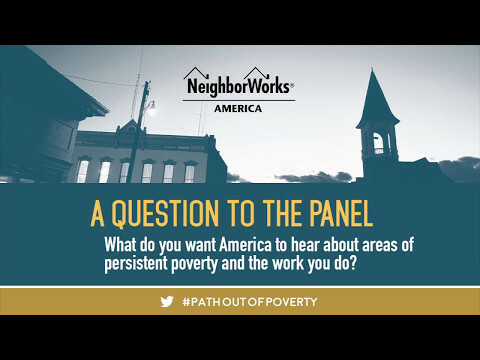 NeighborWorks America will convene community development professionals from around the country for a conference to address persistent rural poverty areas and lift up asset-based strategies and award-winning contemporary community economic development projects. Persistent poverty is an enduring problem in rural America. Geographic isolation, lack of resources and economic opportunities, and disinvestment have led to high poverty rates for decades. Rural and small town poverty rates are highest in the South, where more than half of all rural and small town persons in poverty reside. Even more disconcerting is that the number of persistent poverty counties is on the rise, having increased by 8 percent from the year 2000 level. Rural summit: What should America know about areas of persistent rural poverty? Investing in rural communities means changing the stereotypes surrounding them. Panelists share why rural areas are worth investing in. What assets do areas of persistent poverty have? What did NeighborWorks' white paper reveal? Rural summit: Why do people stay in areas of persistent rural poverty? Why do you stay? This question plagues rural residents. Panelists share the sense of community that makes rural areas home for many Americans. What brings people across sectors to the table? Where does philanthropy fit in?